The Carlyon Bay Hotel would like to extend it's congratulations to the Lost Garden's of Heligan and the Minack Theatre for their fantastic achievements in the BBC Countryfile Awards. The Lost Garden's of Heligan were voted the Garden of the Year, in a stiff competition including beautiful gardens from all across the U.K.
“A really deserving winner. Despite its popularity, Heligan retains a really local feel and the story behind its re-discovery and restoration is heart-warming. 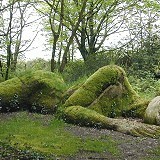 The beautiful garden's are situated on the edge of St. Austell, close to the Carlyon Bay Hotel. 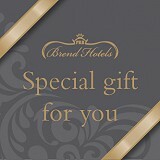 We are able to offer discounted entry here at our Reception. 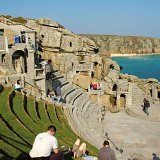 The celebrations continue across the county, with the Minack Theatre, with it's exquiste views was crowned Landmark of the Year. Both of these locations are must visits whilst in Cornwall.